On October 2, I discussed the concept of “Easter Eggs,” hidden messages or references that are intentionally placed in a computer program, television show, book, or other media. I mentioned that there were several “Easter Eggs” in Highland Solution including subtle references to both Star Wars and Star Trek and I promised to reveal these two as they are not spoilers. “Try?” he questioned, lifting her chin to look into her eyes. “There is no ‘try.’ Don’t,” he commanded firmly. The Star Trek reference is much more subtle and has to do with the concept of a “redshirt” character. A “redshirt” is a term that emerged from the Star Trek television series. 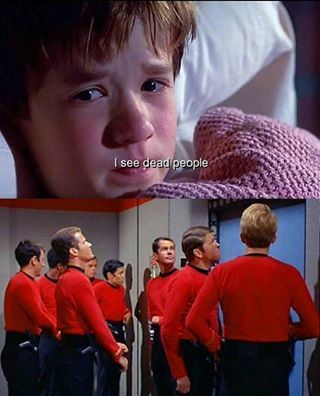 The Starfleet security personnel who accompanied landing parties wore uniforms with red shirts and these characters frequently died during episodes. So a redshirt is an expendable character who is seriously injured or dies in order to illustrate the peril in which the other characters find themselves. In Highland Solution, the guardsman named “Rab the red” is not only a redhead, but also a redshirt. He is “gravely injured” in one scene. I just saw this and had to add it to this post. 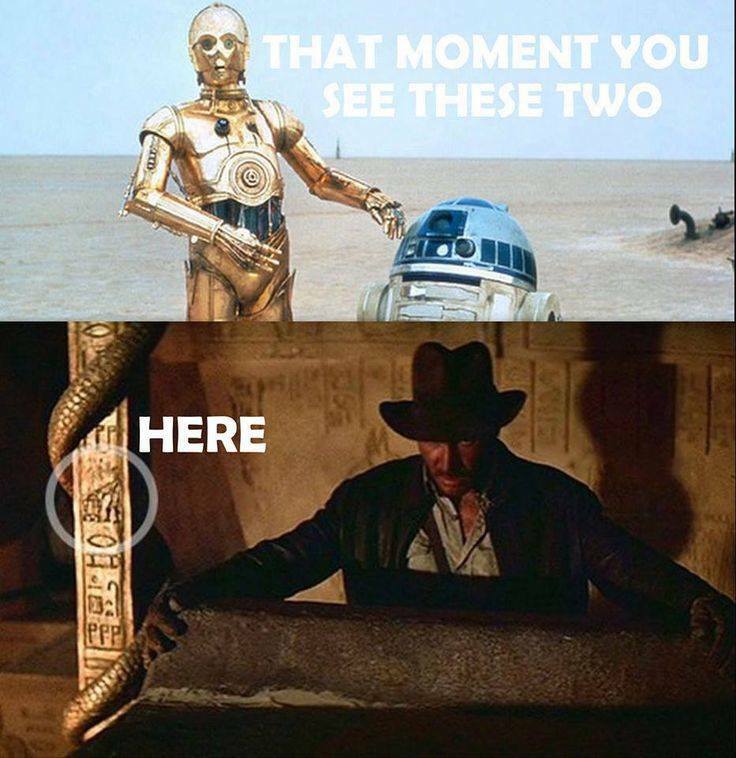 I don’t know if it is real or not but if it is, it is a great example of a Star Wars Easter egg in an Indiana Jones movie! This entry was posted in Uncategorized and tagged Easter eggs, Highland Solution, Indiana Jones, Redshirt, Star Trek, Star Wars. Bookmark the permalink.